Today marks the launch of Netflix’s latest project, the animated Castlevania miniseries. Based on the popular video game franchise by Konami, Castlevania draws on the third entry in that series for its inspiration, presenting the story of Dracula’s wrath coming down upon the land of Wallachia and the few who will take a stand against the armies of the night. The first episode introduces Vlad Tepes, whose wife is burned at the stake on charges of witchcraft by overzealous clergy. Manifesting in his full wrath, he warns the people of Wallachia to flee within the year. Twelve months later, of course, the church is still pooh-poohing the rather public apparition as an illusion sent by Satan to test them, a strategy which works out just fine until Dracula’s demons appear and tear a city apart. Our protagonist is Trevor Belmont, a reluctant hero bitter about his family’s excommunication by the power-hungry church for their long association (read: battle) with the supernatural. A vagrant and drunk, Belmont’s sense of justice pushes him to help others in the crosshairs of the Bishop and his goons, eventually getting him drawn into the battle to save Wallachia from the forces of Hell. There’s not much originality to be found here – writer Warren Ellis, an old hand from the world of graphic novels, has hammered home basic and familiar tropes. Sometimes the writing elicits a smile, while at other points it’s groan-worthy. Belmont is a reluctant anti-hero, the Bishop and his followers an almost cartoonish cadre of corrupt clergy, and the supporting players rarely have more to offer than exposition. Some plot points are quite simply strained beyond reason by dialogue choices – the third episode in particular features a character working overtime to obscure another character’s gender for no in-story reason, to the point of using gender-neutral pronouns when decidedly unwarranted. From a production standpoint, the animation is generally solid, with a few weak moments – not the highest-quality work on the market, but with substance and effort apparent nonetheless. Competent voice-acting is occasionally hampered by accents that mute certain syllables or make lines come out sounding mushy. The score, sad to say, leans on being tonally suitable – admittedly a better choice for a broader audience, but abandoning in the process a legacy of some of the greatest video game music ever created, none of which is translated into the show itself. Where Castlevania shines brightest is with its setpieces – the appearance of the titular edifice, the fiery wrath of Dracula, and action scenes that never shy away from blood and gore. Castlevania wanted to be rated R for violence and language, and while the latter at times can feel forced, the former delivers without notable excess. 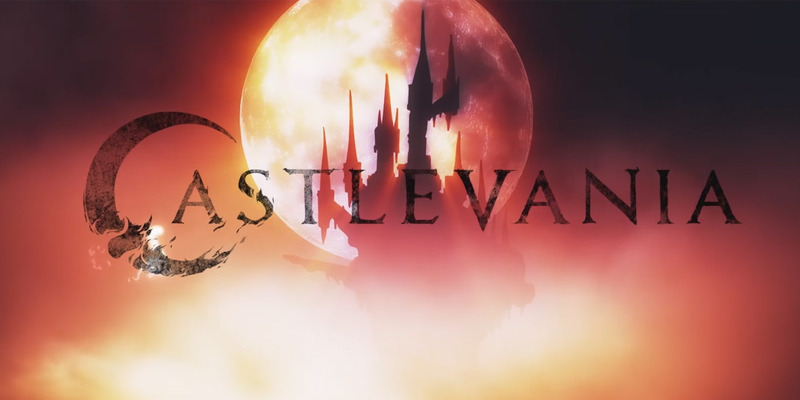 Castlevania was originally planned as a trio of animated movies, and it shows – the short four-episode season has an announced successor en route with twice the length, and the 100 minutes or so that appear on screen feel like one collected chapter of the larger story that has been fragmented into bite-sized pieces. In some ways, this works to the show’s advantage; in others, the divisions feel somewhat arbitrary, made more apparent by the popular binge-watching format of consumption. The first season feels as though it has cut off too abruptly, right when the audience is ready to see more. Castlevania is a flawed series, but for its runtime certainly a decent entertainment and one with some care and attention behind it. Here’s hoping the second season takes advantage of the opportunities the first has highlighted.